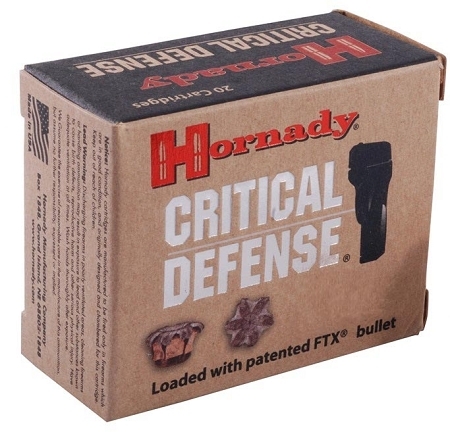 Hornady Critical Defense ammunition is the pinnacle in self defense ammunition. Unaffected by thick and heavy clothing, including denim and leather. Patented FTX bullet delivers superior controlled expansion and large, deep wound cavities over a wide range of velocities. Clean burning and stable propellants reduce recoil in lightweight handguns, and perform consistently in all temperatures. Minimal muzzle flash protects night vision. Feeds reliably in all pistols. Shiny silver nickel plating prevents corrosion, and is easily visible in low light situations. Bullets are channeled and crimped to avoid bullet setback. Bullets are custom designed for individual loads. 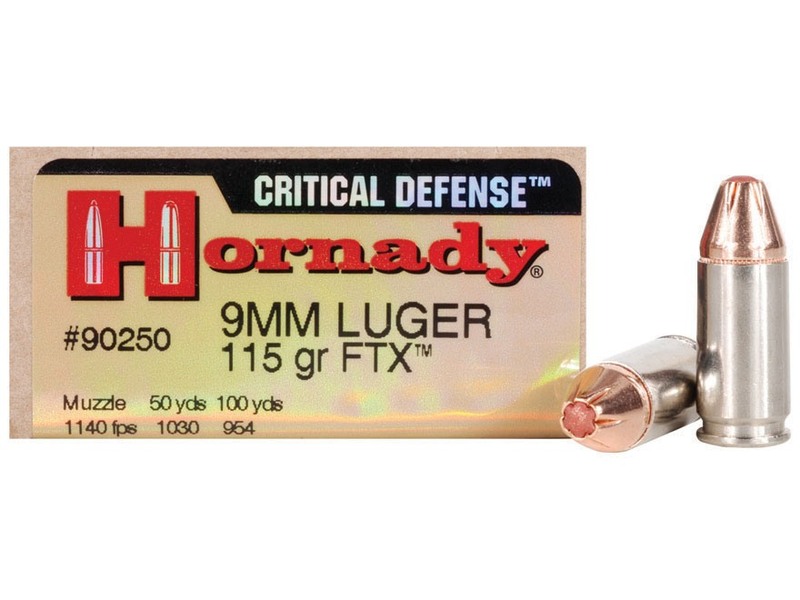 The most effective, consistent, and reliable self-defense ammunition available today!